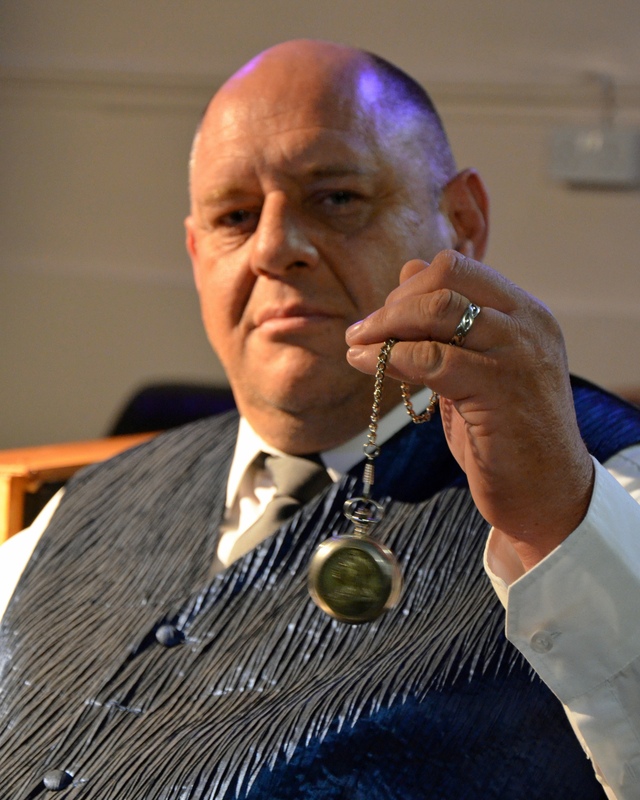 Alistair Martin is The Mind Enforcer, a phenomenal Comedy Hypnotism Act based out of Sussex. 29 years ago, Alistair was introduced to the Comedy Stage when he lived on the Devon/Cornwall borders by a well known Cornish Comedienne. But Alistair didn't want to be just another Stand Up Comic. And about 12 years ago he did just that! Now with 1000's of shows performed and 100's of placed in trance. He travels the UK and a little of Europe perform his Fast Moving shows. With his wit and sense of humour, the suggestions he comes up with are full of fun and have audiences in fits of laughter from the time the show starts, till it finishes. But it's not just the people on stage that make the show, it’s the audience too, as they are often asked to help with the sketches; making this show a Fantastic experience for all who go! So, if it’s a great night of fun and laughter you want, Alistair has to be one of your top choices. As he says, " Fun is Just a Finger Click Away!" This show is ideal for weddings, private parties, hotels, family events, corporate events, etc.